Roger Federer is taking a wild card into next week’s ABN AMRO World Tennis Tournament in Rotterdam, where he will have the chance to reclaim the No.1 ATP Ranking for the first time in more than five years. 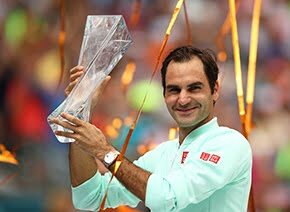 Federer, who last held the top spot on 4 October 2012, moved to within 155 points of Rafael Nadal after claiming his 20th Grand Slam title at the Australian Open and could dethrone Nadal as World No.1 if he reaches the semi-finals in Rotterdam. Federer has previously played the ATP World Tour 500 tournament eight times, taking the title in 2005 and 2012. 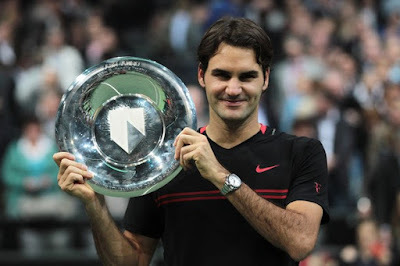 Federer, 36, first rose to No.1 14 years ago on 2 February 2004 and holds the record for most weeks spent at No.1 (302). He is attempting to eclipse Andre Agassi (33) as the oldest World No.1. Nadal, who is not scheduled to play again until Acapulco in the last week of February, has held No.1 for the past 25 weeks (since 21 August 2017). The Spaniard has been No.1 in the ATP Rankings a total of 166 weeks since first taking over on 18 August 2008. Nadal is seventh all-time in most weeks at No.1 in the history of the ATP Rankings (since 1973). Federer said: "The tournament is special for me. I remember playing for the first time in 1999 as it was one of the first events where I got the chance to play at the highest level. It feels good to join in the celebrations of the 45th edition." 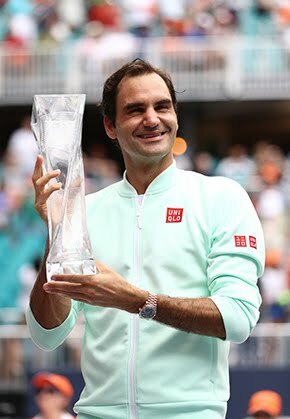 Rotterdam Tournament Director Richard Krajicek said: "We are thrilled that Roger has chosen to come to the ABN AMRO World Tennis Tournament at last minute. After his fantastic result at the Australian Open, it is tremendous news that he will be joining us in Rotterdam. It is a crown to the celebration of the history of our tournament." Federer has a 23-6 record at the tournament. In addition to his two titles, he reached the final in 2001 and semi-finals in 2003. His last appearance at the Rotterdam Ahoy stadium in The Netherlands was 2013, when he lost in the quarter-finals to Julien Benneteau. The Swiss great completes a strong field for the Rotterdam event, joining compatriot Stan Wawrinka, Grigor Dimitrov, Alexander Zverev, David Goffin defending champion Jo-Wilfried Tsonga, Tomas Berdych and Nick Kyrgios in the draw.